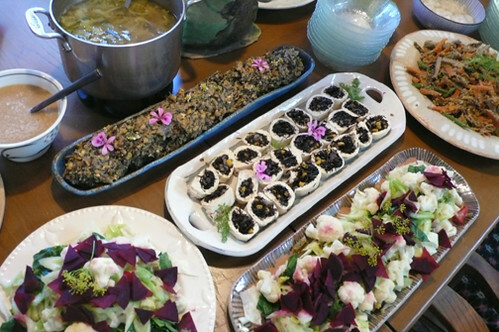 We have been enjoying the summer style cooking. This is a delicious spring roll. It has red lentils inside and served with butternut squash sauce. Yum! Basmati rice with cilantro is a great idea for a summer cooking. The nutty flavors meets a refreshing herb. We had this great dessert dish called, "OHAGI". 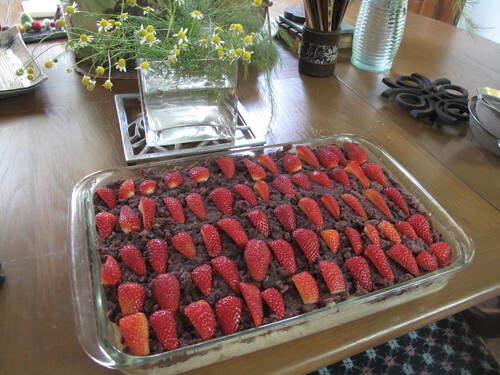 It is a pound of sweet brown rice covered sweetened cooked azuki beans with the strawberry topping. Ohagi is everybody's favorite in Japan and usually make one ball each, but this is cake style. 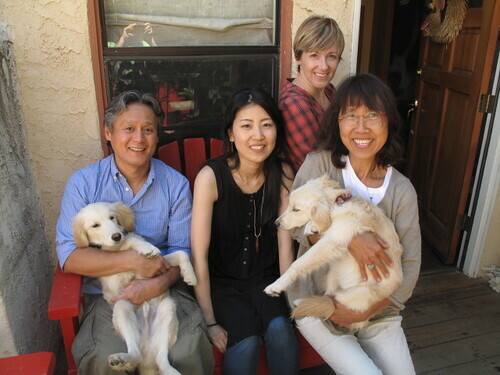 We also had a special guest from Japan, Naoko and her friend from LA. 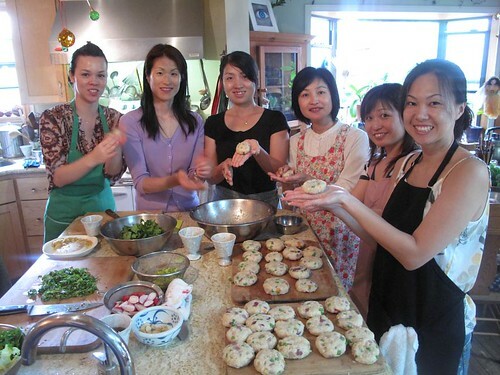 She is a macrobiotic cooking instructor from Japan. 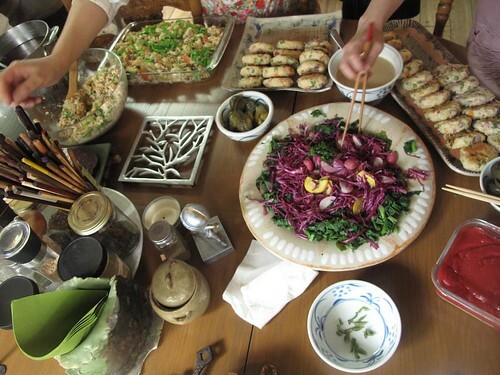 Through macrobiotic practice, I can connect to so many friends around the world. 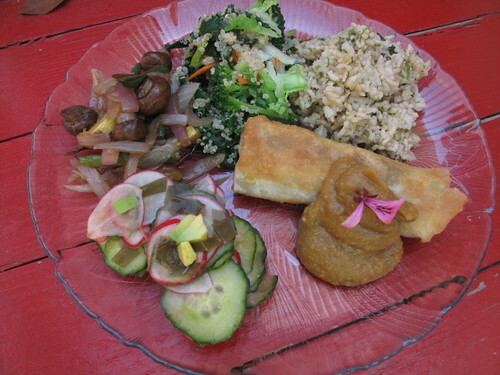 Have you ever had a macrobiotic dish, called Arame roll? I love the way it looks with black and white contrast colors. We also put corns so that it makes sweet, too. 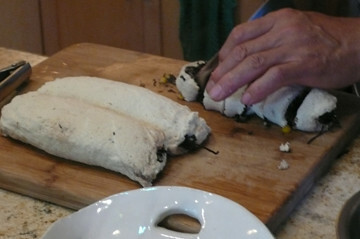 Here is hot to make it step by step. It rolled as we make a sushi roll. 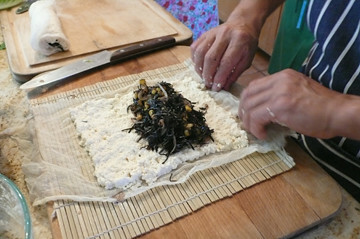 We put arame dish rolled outside with tofu, then steamed. In order to cut clean, it's best to wait until the rolls are cool down. They look good and taste so good!!! One of my favorite dishes is Lasagna. 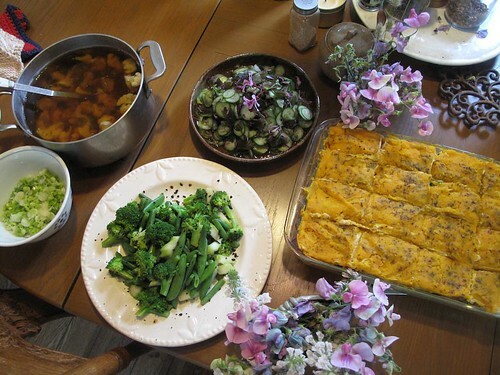 Since I became macrobiotic, I rarely eat tomato dishes. So I miss having Lasagna. 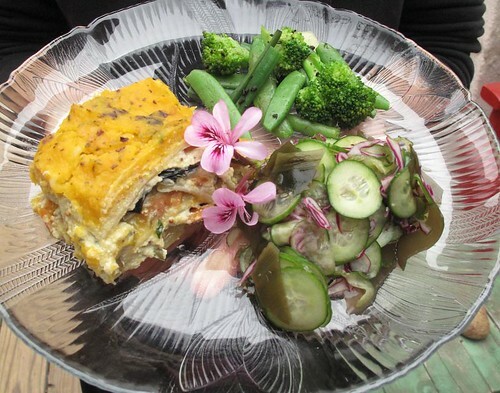 Actually we can make Lasagna in Macrobiotic way. 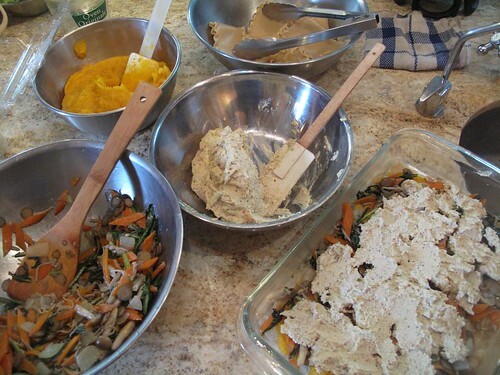 Today we made Lasagna with macrobiotic ingredients. We substituted tofu for cheese, and we made the butternut squash sauce instead of tomato sauce, and we used dandelion leaves instead of spinach. Finally we decorated the table with wild flowers. Sanae picked them from North Folk. The dishes look great with flowers! It is always to fun to make patties. 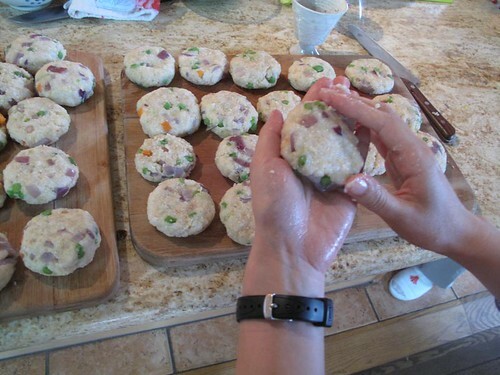 Today we made patties from brown rice, millet, and veggies. As you can see, we made a lot of patties! For the sauce, we made from sweet white miso, water, apple juice and Kuzu to thicken it. The pasta was absolutely fantastic! It was nice idea to use tofu flavored with miso. It was almost like cheese texture.